Marset, acting as a bridge in time, took the original design —an octagon with overlapping sheets— and updated it by giving it a dual skin: cherry wood on the outside of the sheets and a white colour inside to enhance the light quality. The measurements are the same as the original’s —45 cm— and the interior structure, which was originally made of iron, is now polycarbonate, which makes it lighter. 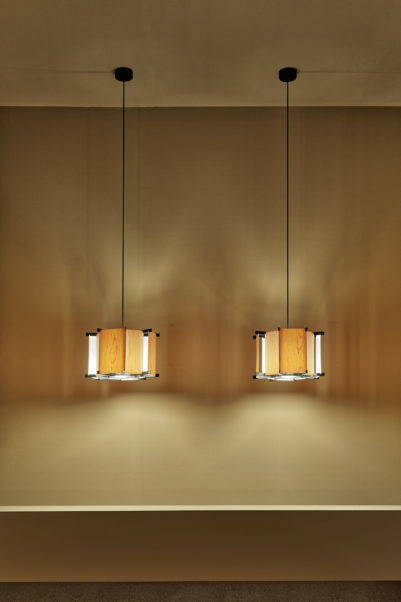 Through the use of wood, the MVV yields an exceptionally warm light.